Hide your private files in plain sight. Is there a better alternative to Obscurity? Is Obscurity really the best app in Security category? Will Obscurity work good on macOS 10.13.4? 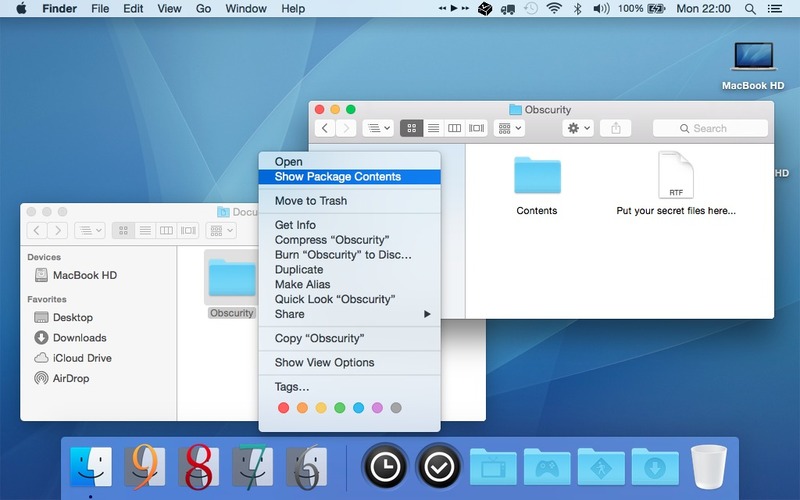 Obscurity is a handy little utility for hiding all those private files and precious memories you don't want anyone else to find. Obscurity now disguises as an OS X Yosemite folder by default. 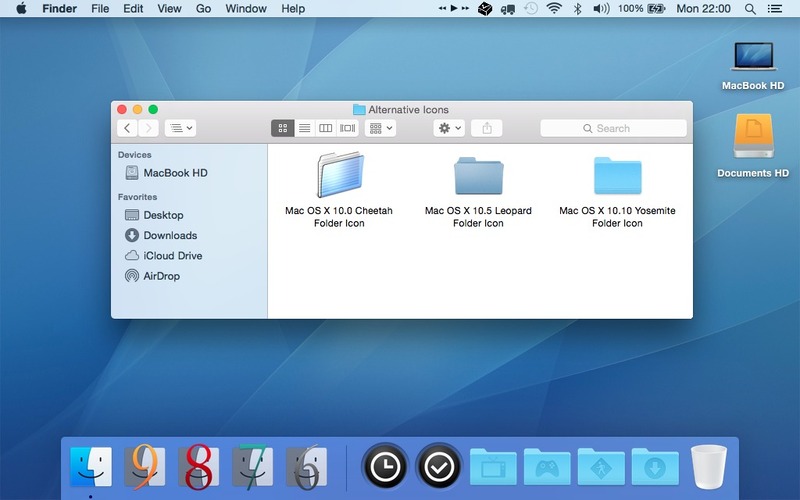 Alternative default folder icons for Mac OS X Cheetah (10.0-10.4), Leopard (10.5-10.9), and Yosemite (10.10) have been added for use on their respective Mac OS X iterations. The application is as simple as it is elegant. Obscurity seems just like a generic folder. Simply place the 'folder' anywhere you want, and anyone snooping around your stuff deciding to double-click it will unknowingly arrive in an empty mock folder. However, if you right-click the 'folder' and choose 'Show Package Contents' from the contextual menu, a completely different folder will show up ready for you to hide all those intimate movies, pictures and old love letters in. It even hides all your secret documents from Spotlight and those pesky 'All Images', 'All Movies' and 'All Documents' Smart Folders in Finder. You can rename and/or duplicate Obscurity to your heart's content creating as many custom secret folders as you need. Obscurity doesn't modify your files or the operating system in any shape, way or form making it the safest way to keep your stuff away from curious eyes.